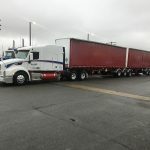 From terminals in Calgary, AB, Medicine Hat, AB, Edmonton, AB and Winnipeg, MB our experienced team of professionals provide exceptional transportation services to customers in a wide range of industries, including drywall, lumber, CO2 and bulk commodities throughout North America. We are a member of Alberta Transportation’s premier carrier program “Partner’s in Compliance” and we hold a Certificate of Recognition from Alberta Worker’s Compensation Board. 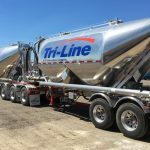 Tri-Line’s bulk operations provide pneumatic tank transportation service throughout North America with a strong regional presence in Western Canada. Our trained and experienced team serves customers in the construction, oil & gas, manufacturing and agricultural sectors. With a diversified fleet of flatbeds, step-decks, curtainsides and pneumatic tankers, in tandem, tridem and super-B configurations you can always count on us to meet your unique transportation requirements. 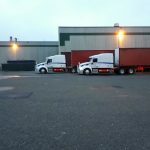 Our trucking experts are happy to recommend the best value-added solutions in order to help you meet your specific business objectives and guarantee the highest quality of customer service. 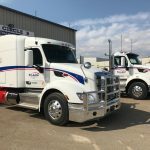 Tri-Line’s flatdeck operations provide truckload and LTL flatbed transportation service throughout North America and regional flatbed service in Western Canada. Our team serves customers across a wide variety of industries including oilfield equipment, steel, machinery, and building products. 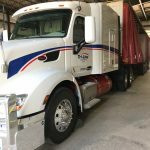 Tri-Line Carriers employs highly trained drivers and staff who are specialists in the transportation of hazardous materials and hazardous waste in both Canada and the United States.